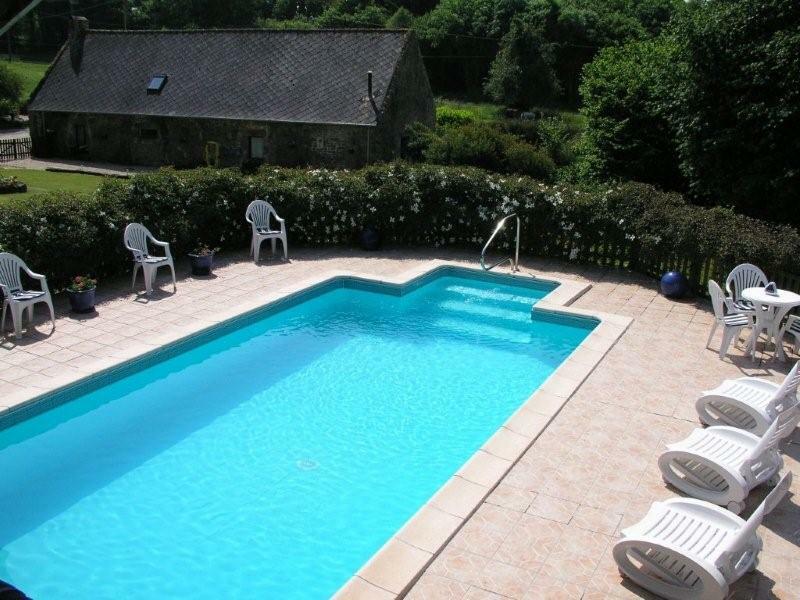 Pois de Senteur is in a small complex with shared pool, sleeps 4. This is a renovated detached cottage in the quiet Breton countryside, set in magnificent gardens, and nine further acres, with so much to do, you won't want to leave. 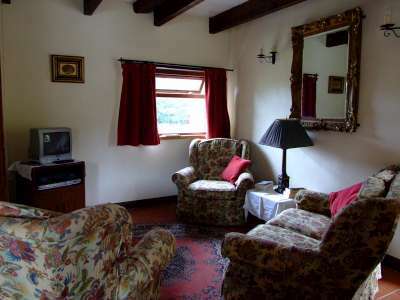 There is a large heated swimming pool, a games room, a gym and friendly gentle ponies to make friends with. There is an open plan lounge with Sky TV & DVD player (100's of DVDs for hire in the library), kitchen dining area all on the ground floor along with two bedrooms, a double and a twin room. The family bathroom has bath, shower cubicle, toilet and hand basin. 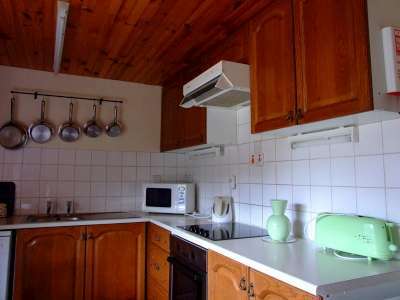 There are some shared facilities with three other lovely cottages; including: laundry room with two washing machines and tumble dryer; gym with various equipment; games room with pool table, snooker table, table tennis, table football, books and various games. The gardens are magnificent; extensive lawned areas, plus beautifully planted flower beds. The large (10 x 5 m) heated pool, is fully enclosed and has ample sun loungers, which is open May to September. It has garden furniture, BBQ, and private patio outside. There is also a play area with a football goal, sandpit, swings, badminton net, volleyball and you won't want to either leave the place for a day and you'll break your heart when it's time to leave.... All inclusive end May - September. Bed linen included and cot and highchair available on request.